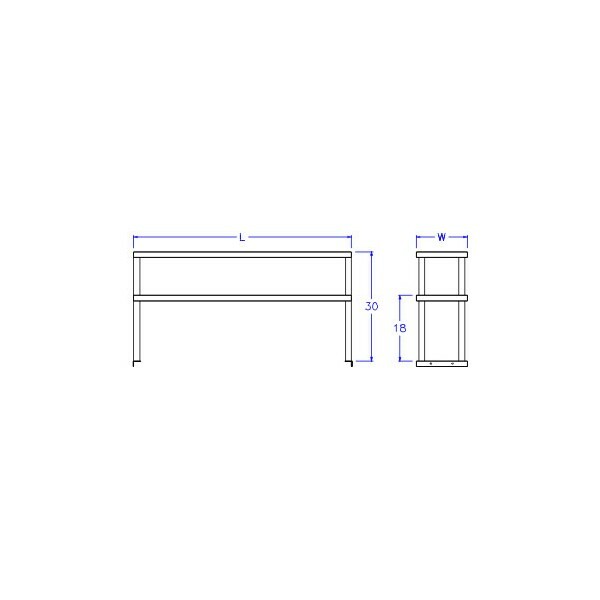 AllStrong custom Overhead Shelf is designed for multiple functions and applications in kitchen workstation such as Work Table and Cold Table, etc. The shelf top is fabricated of stainless steel with all sides formed down 1-1/2" and 1/2"
back at 90o. 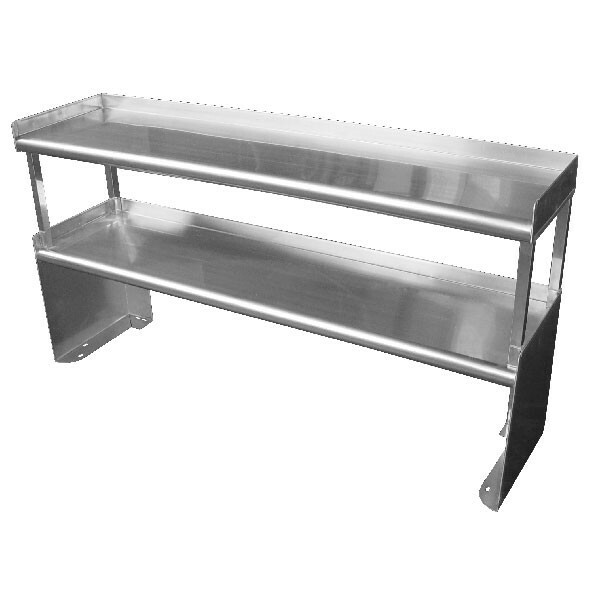 The overhead shelf is welded on stainless steel tubular frames. · Top and undershelf are constructed of stainless steel. · Available in 12", 14", 16",18",20", and 24" Depth. OMS36-C Double Tiers Series 36"
OMS48-C Double Tiers Series 48"
OMS60-C Double Tiers Series 60"
OMS72-C Double Tiers Series 72"